The free exhibition will run from Thursday, January 17th, until Friday, May 17th, and will contain around 160 artifacts. 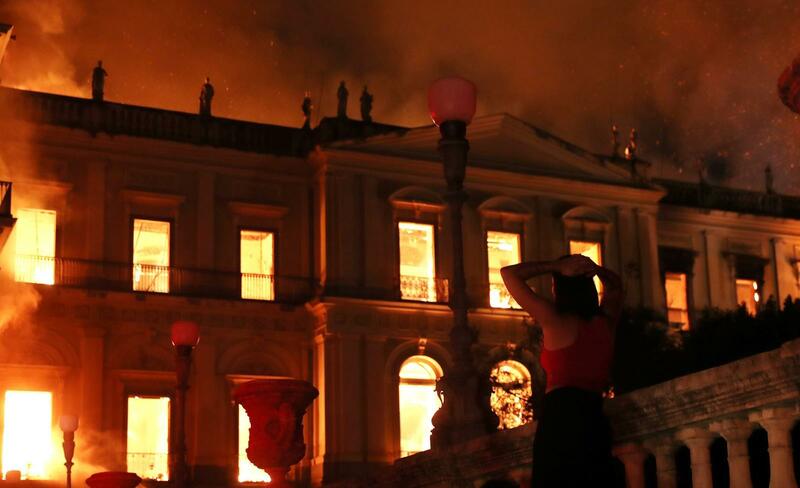 RIO DE JANEIRO, BRAZIL – This Thursday, January 17th, will see the opening of the first exhibition by Rio’s ‘Museu Nacional’ (National Museum) since its devastating fire last September. This will be the first exhibition hosted by the National Museum since a huge number of its contents were lost and the historic building itself was gutted by a still unsolved fire just over four months ago, photo internet reproduction. The exhibition, entitled ‘Quando nem tudo era gelo – Novas descobertas no continente Antártico’ (When everything was not ice – New discoveries in the Antarctic continent) will take place at the ‘Museu Casa da Moeda do Brasil’ (The Museum of the Brazilian Mint). The new location is significant in that the building was the first seat of the National Museum during the nineteenth century. Among the artifacts, there are eight pieces that have been rescued from the rubble of the National Museum itself, as well as bones and replicas of prehistoric animals. The exhibition will showcase the work of the ‘Paleoantar’ project, dedicated to collecting and studying Antarctic rocks and fossils. There will be two rooms, one showing how Antarctica looks now, and the other demonstrating how the continent looked ninety million years ago, when its climate was more tropical. The venue will also have interactive spaces where visitors can experience how work is done in Antarctica, send messages to crew members working there now, and even take a selfie with an iceberg. According to the director of the National Museum, paleontologist Alexander Kellner, the pieces presented are of international importance and the goal is that other cities can host them after May 17th. “We are already looking for partners to get the exhibition to travel, the National Museum is still alive,” Kellner comments. Kellner also reported that he is already moving to seek the support of the government of President Jair Bolsonaro for the National Museum. “We want to show our plan to him, the National Museum is not adrift, and the greatest proof is this exhibition,” he says.